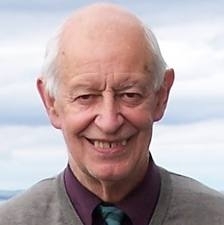 Professor N. Craig C. Sharp (born 1933) was awarded the honorary degree of Doctor of Science by Glasgow University in 2005. The above is dryly formal yet undeniably impressive. But what are the origins of Craig Sharp’s illustrious career, during which he has received many more awards than those already mentioned? The young Craig Sharp became a member of Victoria Park AAC, and demonstrated talent by finishing fourth in the 1952 SCCU National Youths Championship. He is proud of the fact that he won the VPAAC Youth Championship and featured in his club’s Junior and Senior teams, at a time when they were the best in Scotland. In fact he was tenth in the Scottish Junior CC in both 1953 and 1954. Had he not been entered as an individual in 1953, he would have counted in the Vicky Park outfit which won team gold medals. 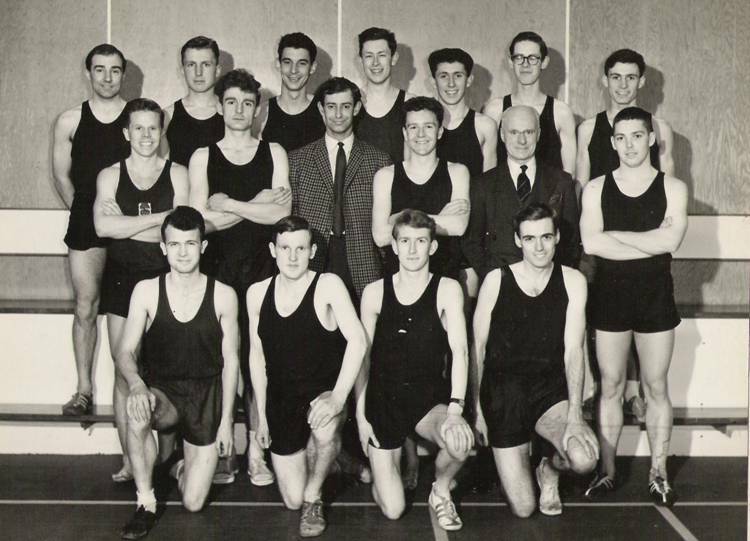 At Glasgow University he was third on two occasions in the Scottish Universities CC Championships, ran for SU, and was awarded his ‘Blue’ in 1953. He served as Treasurer, Captain and, from 1963-1966, President of GU Hares & Hounds. In 1964 he presented a silver trophy in memory of a late friend, J. McCulloch, to be awarded to the best GU runner, decided on a points basis over the season. Allan Faulds was the first winner; followed by Brian Scobie in 1965. By then, Craig was working as a lecturer at the University of Glasgow Veterinary School, but from 1964 to 1967 he was seconded to the University of East Africa in Kenya. While there he played squash professionally for Kenya (and later on for the West of Scotland). An outstanding athletic feat was when he established a record for the (unaccompanied) running ascent of Mount Kilimanjaro (19,340 feet / 5985 metres) in 6 hours 48 minutes, starting at around 6000 feet / 1828 metres. He returned to Glasgow to become acting head of the Veterinary School but, as mentioned previously, changed career in 1971. His own athletic experience was useful, as well as the fact that he had some knowledge of racehorses and racing greyhounds. Craig’s main aim became to develop the practical application of exercise physiology to competitors and coaches. Many national squads came to Craig Sharp’s Human Motor Performance Laboratory for testing and advice. These included GB men’s artistic gymnastics, sprint and slalom canoeing, England volleyball, GB judo, GB women’s and men’s squash, and some GB rowers. In addition, a number of individual international competitors from track and field athletics, tennis, shooting and archery came regularly, with their coaches, for testing. Famous athletics coaches who Craig Sharp worked with included John Anderson, Peter Coe and Harry Wilson. Craig was involved with altitude training in St Moritz before the 1972 Olympics and was also Director of Doping Control at a number of world championships. One fascinating anecdote is told about Craig happening to be next to Lasse Viren in the showers around the time that it was rumoured that Finnish athletes might be blood-doping. Craig checked the great athlete surreptitiously for suspicious injection marks and could see none – so he is to this day convinced that Viren was ‘clean’ and simply a brilliant runner who peaked extremely well. One especially interesting article by Craig Sharp can be found by googling ‘What have the sports scientists done for us?’ Elsewhere, he has stated that there are four main gaps with respect to the quality of current sports science provision to elite sport. First, he thinks that we are very deficient in the testing and provision of sports science to highly promising athletes at school level. Second, the same applies to a considerable extent to sports science work with women. Third, likewise with the variously disabled, who have a varied set of testing needs. Fourth, he would like to see more of the accredited laboratories becoming sport specific. Ideally, he would like to see far fewer and much bigger departments of sports science, affording greater critical mass to each of the sports science disciplines.